There’s a reason why doctors recommend that mothers breastfeed their newborns for the first few weeks of their lives: because human breastmilk provides the infant with much-need immune system boosters. 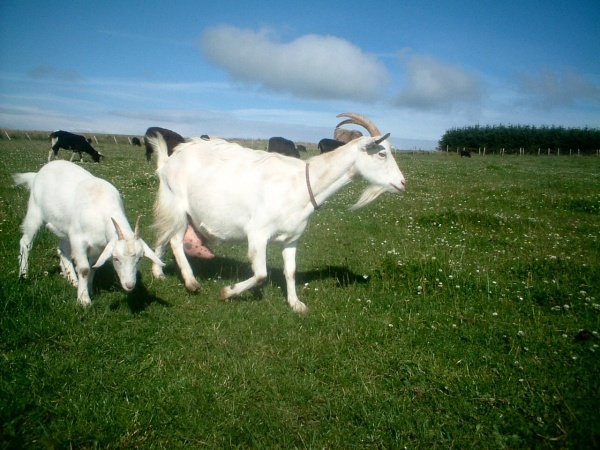 But if for some reason the new mothers can’t breastfeed their child, there’s a new alternative: goat’s milk. Or rather, the milk of dairy goats that have been genetically modified to contain lactoferrin, which is the protein found in human milk that arms newborns with immune protection. This component also fights off fungi and bacteria and also helps strengthen the child’s immune system. Goat’s milk is easily contaminated though, so obviously the farm and where the milking will take place should be thoroughly cleaned and sanitary. I think this is an interesting development and could benefit millions of babies all over the world. I just wonder if there are any possible negative effects that can arise from consuming genetically modified goat’s milk. It is genetically modified, after all. And while we’re not talking about cloning or stuff like it, who knows what could go wrong if you try to tweak what nature has already provided?